Bonnie An Henderson is an internationally-recognized expert in cataract and refractive surgery, specializing in complicated anterior segment surgery. She is currently a partner at Ophthalmic Consultants of Boston and a Clinical Professor at Tufts University School of Medicine and was previously the Director of the Cataract and Comprehensive Ophthalmology Service at Massachusetts Eye and Ear Infirmary. Dr. Henderson is the Associate Editor of the Journal of Refractive Surgery. She serves on the editorial advisory boards of Ocular Surgery News, Cataract and Refractive Surgery Today, and Advanced Ocular Care and has served as the associate editor of Eyeworld of the American Society of Cataract and Refractive Surgery and on the editorial board of Eyenet Magazine of the American Academy of Ophthalmology. She serves on a number of committees for the American Academy of Ophthalmology and the American Society of Cataract and Refractive Society. 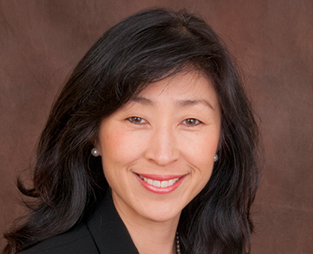 She is currently the President of American Society of Cataract and Refractive Surgery. Dr. Henderson has been awarded an Achievement Award, the Secretariat Award, and the Senior Achievement Award by the American Academy of Ophthalmology, “Best of” awards from the American Society of Cataract and Refractive Surgery for her research and films, and the “Teacher of the Year” award from Harvard Medical School. She has been awarded the Visionary Award by the American- European Congress of Ophthalmic Surgery and received the Suzanne Veronneau-Troutman Award from Women in Ophthalmology. She has been chosen by her peers nearly every year for the past consecutive 13 years as “Top Doctor” by Boston Magazine, as “Top 100 Doctors in the United States” by the US New Report, “Top Doctor” by Castle Connolly, and a “Top Surgeon” by Becker’s ASC Report. Dr. Henderson completed her ophthalmology residency at Harvard Medical School, Massachusetts Eye, and Ear Infirmary. She graduated from Dartmouth College and from Dartmouth Medical School with high honors. She serves on the Board of Overseers at the Geisel School of Medicine at Dartmouth, the Executive Committee of American Society of Cataract and Refractive Surgery, the Executive Board of the Massachusetts Society of Eye Physicians and Surgeons, and has served on the Physician Board of Directors at the Massachusetts Eye and Ear Infirmary. Married with three children, her interests include culinary arts and competing in triathlons.